Ambition Insight is a Fort Lauderdale WordPress website design and web development agency specializing in WordPress websites, graphic design, Fort Lauderdale enterprise WordPress training, web training, South Florida business consulting and social media strategy. Our WordPress Training and WordPress web design locally services Miami, Ft. Lauderdale and West Palm Beach and surrounding areas. Our South Florida web development and business consulting services primarily serve clients in Miami-Dade, Broward and Palm Beach counties of South Florida, though our clientele extends around the world. We build powerful, user-friendly, well-designed WordPress websites and online marketing strategies that grow businesses. Not only do we build great WordPress websites, we train you how to use and maintain them with premium WordPress Training and WordPress Consulting services. You and your business can be involved every step of the web development process, or you can leave the hard part up to us and expect nothing short of the highest quality product we can produce within your budget. The Best WordPress Websites and WordPress Training from Miami to Fort Lauderdale to West Palm Beach and beyond. In addition to web development and web design we offer WordPress training, business consulting, social media training and a hands-on approach to developing your idea on the web. After your website is developed we’ll teach you about social media marketing, search engine optimization (SEO), search engine marketing (SEM) and developing your WordPress website into a prosperous and profitable asset. Here you’ll enjoy a customer experience like no other. Since 2005, we’ve been recommended by our clients for consistently providing quality service, cutting-edge design, valuable ideas and exceptional training. Read some of our customer reviews, browse our client list and check out the portfolio of satisfied clients. Send us an email, fill out the contact form or give us a call at 203-233-1686. 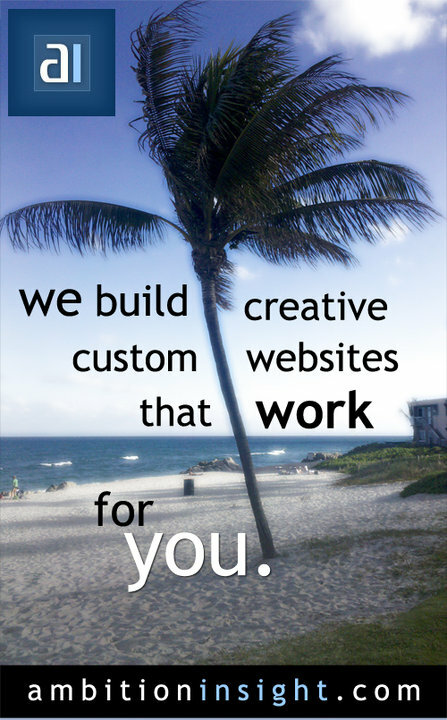 We strengthen businesses with powerful and useful websites that last. Watch this video for a quick overview of how we can help you.